These deep-fried crispy and crunchy vaguely chip shaped (British chips as in fish and chips chips, not crisps chips) snacks made by Calbee are awesome whenever food therapy is needed. In my staff room, exam time often means these become a staple and seeing teachers munching on these babies throughout the week becomes commonplace. Available in a myriad of exciting (often seasonal) flavours such as German potato, fish eggs and butter, pickled plum, cheese fondue, buttered scallops and edamame cheese to name but a few, it is always with trembling anticipation that I pull the top away and peer inside to see what marvels await. I was on my way home from work this evening, when I clocked this practically neon green beauty in my local convenience store. Naturally, I was compelled to buy it. 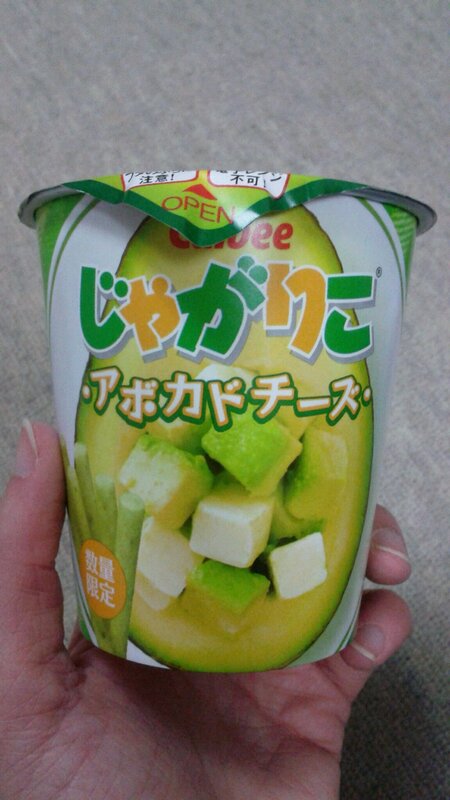 It was beckoning me, demanding to be bought and tried, the new flavour – avocado cheese. “I can resist everything except temptation,” proclaimed my adored Oscar Wilde, and so it was with me and the avocado cheese Jagariko. And, while it sounds like the weirdest thing ever (come on, it does, and the chips themselves also have a definite greenish cast) it is a combination that works. 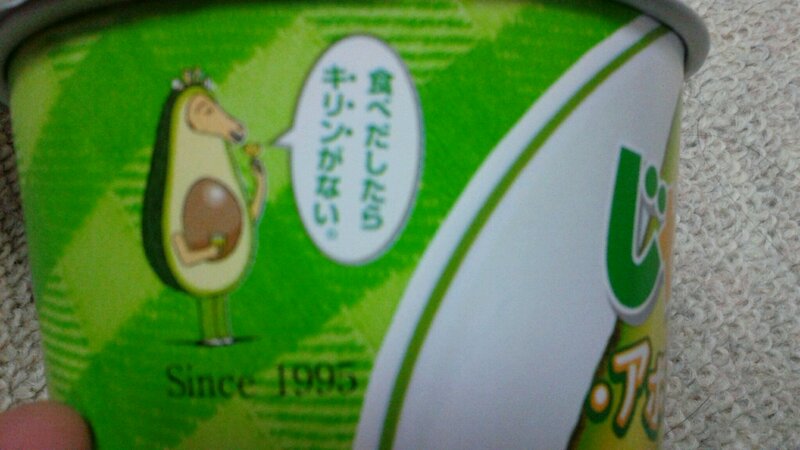 It really does taste of avocado and cheese, you know, all that good stuff. 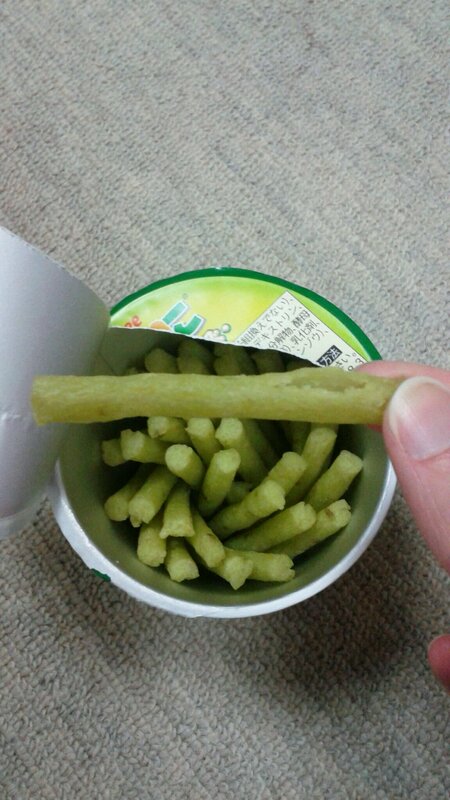 You have to hand it to them, the Japanese are masters at food harmony. They know what works, and no matter how peculiar, it usually does. I can’t wait to see what novel flavour Calbee will fling at us next! Fish eggs and butter, are they serious? 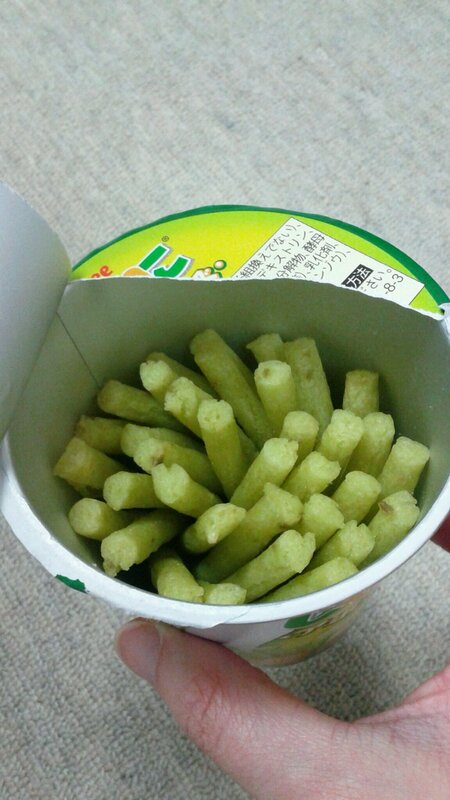 I’d never stop snacking if I lived in Japan. That’s is awesome.